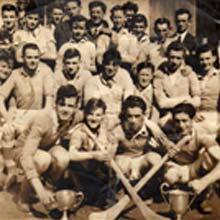 Welcome to the Gleann na Laoi Hurling and Football GAA website. 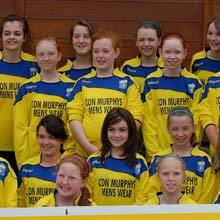 Our club is situated in the Beautiful village of Kerry Pike, Just 2 miles north west of Cork City. Our Players come from the Clogheen/Kerry Pike parish, which includes the areas of Leemount, Shanakiel, Mount Desert, Healy’s Bridge, Killard and Woodside. 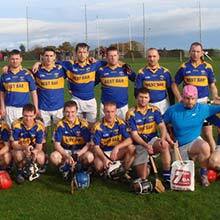 We cater for all ages in Hurling and Gaelic Football. Gleann na Laoi are holding a used clothing collection at the Community Centre, Kerry Pike on March 30th from 10am to 4pm. Please bring your used clothing , Linen, Curtains, Belts, Handbags, Shoes (Paired) and Gleann na Laoi will receive funds for every10kg filled bag. Please note that Cushions, Duvets, Pillows, socks and underwear will not be accepted. Any queries please contact Eoin o Leary 087-9730111 Thank you. The annual Gleann na Laoi Poc Fada is starting on St Stephens Day at 2pm. Registration of Teams from 1.15pm in the Community Centre. €30 for senior teams, and €15 for juvanile teams. 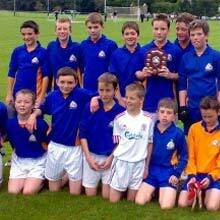 JC Mid Cork Football League and Championship Winners! Gleann na Laoi Underage up and running!